Experian is one of the three national credit bureaus in the US. Formerly known as "TRW", the company was renamed in the the mid 1990's to Experian when it was combined with England's leading credit bureau CCN and acquired by the English company GUS plc (formerly Great Universal Stores). Later on Experian was split off into a separate independent business, and it is now known as Experian plc. with its worldwide corporate headquarters in London, England. Experian in the US is mostly known as the Experian Credit Bureau. As a credit bureau, it is a repository of consumer credit histories, that is, it stores records of individuals’ credit transactions, while maintaining an accounting of inquiries into the credit reports, and providing other information on consumers such as historical and current addresses. Experian sells its credit report information to lenders and consumers alike. For example, it sells to lenders when an individual applies for, say, a store credit card, a bank or car loan, a mortgage for their house, employment or perhaps for insurance. 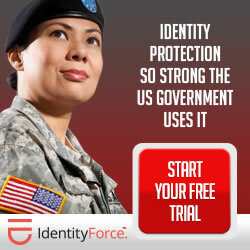 It also sells directly to consumers through various web sites it owns and operates through its subsidiaries, like experian.com, freecreditreport.com, freecreditscore.com, creditreport.com, creditscore.com, protectmyid.com, creditchecktotal.com, among others. Consumers may contact the Experian at the following address: When corresponding with them, we suggest you include your first name, middle initial, last name (and any suffix you may use, such as Jr., Sr., III, etc. ), current mailing address, your Social Security Number, and date of birth. You should also include a copy of your driver’s license or ID card, and a utility bill that displays the current mailing address you are providing. See if they have accurate credit information on you. Dispute items that are inaccurate. Review your credit report and see if there are credit accounts newly opened that you did not open. Check your report to see what companies are inquiring into your credit report, and that the inquiries were initiated by you. Check your credit score from Experian, and generally compare where your score rates versus others. View the primary factors that affect your credit score and keep your score from being higher. Consumers are advised to check their credit to be prepared for the times when they want to apply for a loan or other credit. Or to stay informed so that new information added to their file is accurate, and that inquiries are authorized. Checking your report may also help reduce identity theft issues if someone is out there using your personal information to apply for or open new loans without you permission. Check you credit report more than once a year. Q. What is in my Experian credit bureau report? A. The credit report the lender receives will list the applicant’s credit history, an encompassing list that will include an accounting of credit cards (when each was applied for and granted, high credit, amount due), and payment schedules, including on-time payments, also, 30-, 60-, and 90-day late payments. The consumer credit report of today will also include addresses where the consumer has lived, and inquiries that creditors have made into the consumer’s credit in the previous two years. Q. How long does stuff stay on my credit report? A. The derogatory or bad credit data on the credit report may remain on the credit report for the period of seven years, at which time the data will drop off, or the consumer may request that it be removed. In the case of some bankruptcy filings, an individual’s credit may remain on the report for the period up to ten (10) years. Q. Is the Experian credit bureau owned by the government? A. None of the three credit reporting agencies is owned by the government, although many standing laws of the US govern control their operations. Q. What if I want to complain about this company? A. The CFPB, the Consumer Financial Protection Bureau, takes complaints about credit reporting companies. Q. Who is Experian Consumer Direct?